InsideOut Literary Arts Project in Detroit has a lot to be proud of. 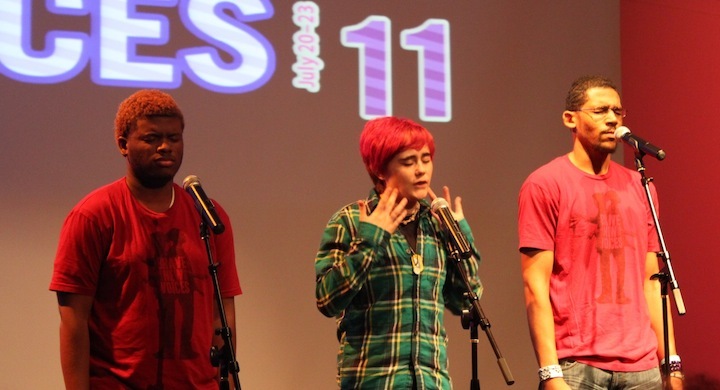 This week they welcome back from San Francisco six student poets, where their team placed fourth at Brave New Voices, the national youth slam competition. “This is not just a slam. These are words for a better tomorrow,” slam team member Justin Rogers proclaimed. The WITS Alliance congratulates Justin Rogers, Devin Magee, Joseph Verge, Ariana Washington, Breeana Blackmon and Andrew Barnhill. You guys give us hope!